Daniel’s Seventy Week’s prophecy might provide strongest evidence yet proving that Jesus was the Christ and God-Man, while foretelling the eventual acceptance of the Diaspora Jews to this Truth. Ever since the time of the apostles and the early fathers of the church, the prophecy of the Seventy Weeks spoken of by the prophet Daniel has often been used by the Church to show proof that Jesus is the messiah. This prophecy can be found in Chapter 9 in the Book of Daniel, but it is a short prophecy only four verses in length. It is also a very complex prophecy and one of the most difficult prophetic passages to understand and interpret in the whole bible. As we move from start to finish through the prophecy, the more obscure the text becomes to decode and understand. It is also one of the most controversial and disputed prophecies, primarily because it often used by Christian missionaries to preach the Gospel to the Jews and non-Christians today to show Jesus was the messiah. The Seventy Weeks prophecy provides the only “timetable” in the Old Testament which was used to calculate the arrival of the messiah, and this arrival was expected to occur prior to the destruction of the second temple. Still, many of the early interpretations provided by a few of the early fathers are incomplete (for reasons which we shall discuss later in this article), although certainly much of their analysis provided strong evidence which would to point to Jesus as the fulfillment of the prophecy. As a result, many Jewish rabbis and commentators up to the present day have sought to discount this evidence and weaken any arguments pointing to Jesus as fulfillment of the prophecy… to the point that they claim that the prophecy has been grossly misinterpreted and mistranslated and cannot be trusted. Daniel had an incredible gift of prophecy. But there are also many skeptics and critical scholars of the bible that don’t believe in predictive prophecy. They just cannot possibly believe that the Book of Daniel was written about a real character who lived six-hundred years before Jesus. Many scholars have concluded that Daniel was written by someone in the 2nd century around 150 BC and written about events written about the Book of Maccabees and the 2nd temple battle with Antiochus Epiphanes the IV in 168 B.C, around the time of the Seleucid Dynasty. This idea is especially promoted by the atheists, who fight tooth and nail to state that the book of Daniel is a second century forgery because there is no way, they say, that he could have predicted the rise of great world empires with amazing accuracy. They conclude that Daniel could not have lived during the time of the Babylonian empire. The Atheists and skeptics say that even if there is a remote possibility that Daniel was a real figure, he could only have been a person who lived after the death of Alexander the Great, and that the text was edited and treated as if it was written back in 550 BC during the Babylonian Exile of the Jews. By them saying say it is a forgery, it solves a big problem for them. They realize that they have a difficult challenge with their arguments that there is no God if they cannot disprove the authenticity of Daniel. And if it was truly written in the time of the Babylonian Exile, then it means we have to believe in the possibility that the God of Israel exists. God as three persons in one? The arrival of another “ruler” or antichrist which existed eight hundred years after Antiochus Epiphanes? The exact year of the return of the Jew’s return to Israel in the last century? The eventual acceptance of the messiah by the modern Jews thousands of years later? Wow, if these could be proven, it would be a game changer. That would certainly be some strong revelation, even for a supposed second century forgery. So then… even if Daniel was written in 150 BC, we are still counter that Daniel not only predicted the future temple destruction in 70 AD, but possibly even predicted the time in history when the Jews would be scattered for thousands of years and yet return again and accept the true messiah they once rejected. If this were the case, then is the Book of Daniel can not be a forgery! It would mean the book shows a level of authenticity if it predicts something to occur hundreds, if not thousands of years later. Then the skeptics are forced to acknowledge some “divine hand” in the creation of the prophecy. These questions on the authenticity of Daniel will be addressed in this article. Some of the ideas and mathematical analysis proposed here has not been yet explored by previous researchers. This author hopes these ideas will be further explored soon by others to prove that Jesus is the Christ, our immortal King and God. We will also examine common objections to the Christian interpretations to Daniel that you might encounter in your discussions. Some of these objections are valid due to many of the common misinterpretations by modern Protestant scholars promoting Preterist and Futurist views of eschatology, while others are certainly fraudulent claims. Background – Why was the prophecy was given to Daniel? In order to get the proper context and interpret the Seventy Weeks prophecy correctly, we must examine the entire contents of chapter 9. It is not possible to understand what is going on by just reading the last 3 or 4 verses in the chapter. This is the criticism often made by Jews with our interpretation, but we will also show it provides more of a context than they realize. The earlier chapter discusses what Daniel requested of God, why he requested it and how the prayer was answered by the Archangel Gabriel. Daniel begins chapter 9 by praying for the return from captivity and for the Jews to be allowed to rebuild God’s holy temple once again. Studying the prophecies of Jeremiah, Daniel saw that the captivity would last seventy years. He realized the time was at hand, but didn’t see an ending to their captivity any time soon. So when the seventy year captivity was coming to it’s conclusion in the first year of Darius King of the Medes in 539 BC, Daniel began to fast and fervently pray to God in order that He might forgive the sins of his people end to the captivity, end the desolation of city and temple of Jerusalem, and help the Jewish people to return to their land. The entire prayer is contained within verses 4 to 19. If we examine this amazing and wonderful prayer of repentance by Daniel, it describes how the Jews sinned and rebelled against God and his laws which lead to their captivity, how they were driven far off in countries away from Israel as a result, how they have not yet repented and yet he personally asks God to hear his prayer on behalf of the Jews to end the desolation in Jerusalem to forgive and act without delay! What is amazing about this prayer, is that it could have equally been applied as a timeless prayer even after the desolation of the second temple in 70 AD. We then wonder, similar to Daniel chapter 4 (which itself could be a prophecy foretelling an extended SEVEN TIMES punishment of the Jews), if the prayer itself was actually a prophecy about a much longer exile and desolation of the Jews? We shall examine this mystery as we further dive into alternative meanings of the 70 weeks prophecy later in this article. Daniel 9:23 – “At the beginning of thy supplications the commandment came forth, and I came to show you; for you are greatly beloved”. Gabriel then asks Daniel to consider the exile and punishment of 70 years, and to understand what he is about to be told – “consider the matter, and understand the vision”. He was seeking an answer to the return from exile of 70 years. But he was given much more than he had bargained for in hearing an answer to his prayer! One of the common criticisms by the Jews is that many of the bible translations today have corrupted parts of the original meaning of the text, especially in the King James version. We will examine the King James and compare it to the Hebrew Bible translation from the Masortic text, and the English translations from the Septuagint. For the most part, a few of these arguments are weakened if we compare the text to the Septuagint. So we will often defer to the Septuagint and Theodotion translations, which was promoted by the apostles and the early church and is one of the earliest known translations still in existence. In fact, this author believes there are parts of the Greek translation of Daniel that authenticate and validate the prophecies of the Jews in exile more than today’s English translations, and perhaps is critical in understanding the true meaning of some passages. Let’s examine some of the differences in the text. 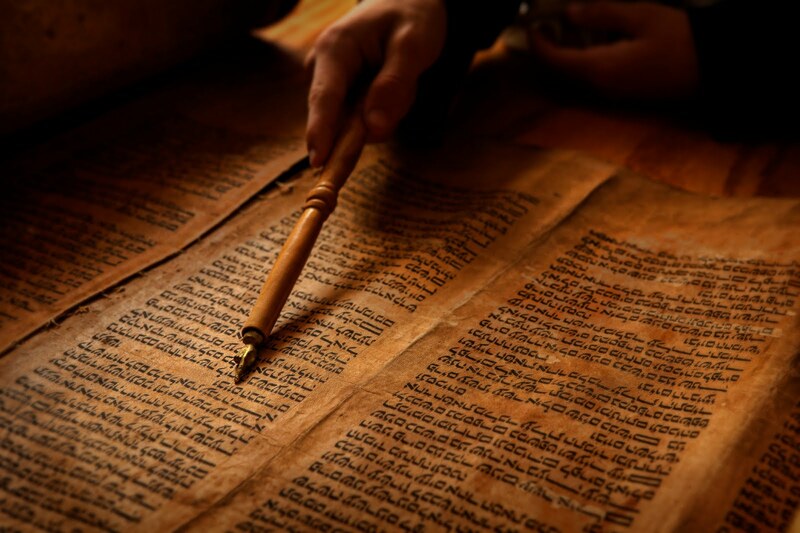 First we will list a few of the translations, including English translations directly from the Greek and Hebrew texts. The Jewish scholars try to tell us there is nothing that is momentous that happened during the time of Jesus, and he did not fulfill any of these six conditions. They say “it just doesn’t fit.” But it is very obvious for Christians to see how Jesus fulfilled many of these requirements with his death on the cross and his resurrection. There are several ways we can interpret the “Anoint the Most Holy” or “Holy of Holies.” The event could represent anointing a holy person or holy place the temple. Or both. A Holy of Holies could be considered a High Priest. In fact, in the book of Revelation, Jesus is referred to as the “King of Kings” and “Lord or Lords.” The Messiah’s presence in the reconstructed second temple could have been the anointing of the temple itself. Or a change in a new covenant will establish a new “spiritual” temple. Either way, we can make arguments for for both points that an “anointing” is a messianic figure or blessing of a temple. In reality, both the 490 year and 2520 year interpretation timelines we will examine for Daniel’s 70 Weeks are applied to an anointing of a messiah, and/or temple. For example, the Most Holy could refer to the consecration of the Ezekiel’s temple in the future after the abomination of desolation temple is removed from the temple mount. Are there 2 princes or “anointed ones” discussed in the passages? Perhaps. Decrees and Timelines – Which Decree To We Pick? With the six different translations of the prophecy shown above in the previous section, we can see that the prophecy explicitly showing a duration of 70 “sevens”, 70 “weeks” which typically we interpret as a rough mathematical calculation of: 70 x 7 days = 490 days. The seventy weeks are not measured as literal days, because in literal 490 days, it was not possible to build a large city in Jerusalem with its completed walls, nor was it possible for Christ the Messiah to be sacrificed 490 days after the issue of the royal decree about Jerusalem’s temple rebuilding. So the Seventy Weeks prophecy speaks about weeks of years. This prophecy is one example where Preterists, Futurists and Historicists all agree and apply the Day-Year Principle of prophetic interpretation to this prophecy. A day is equal to a year in the prophetic timetable. The Archangel Gabriel gives Daniel an explicit starting point to begin measurement for the anointing. It is with an official “word” or “decree” by a king, prophet or government official to proceed with the task of restoring and rebuilding Jerusalem. However, there are 4 distinct decrees with respect to return from Babylon and the rebuilding and construction of the temple and city. Which one do we use for our our calculations? This is the subject of strong debate between Christians, and is a point of contention between Jews and Christians. The Jews often accuse the Christians that they incorrectly chose the wrong decree and “fudged” the numbers to make it look like it points to Jesus’s exact year he died on the Cross. So then what is the right decree? The amazing part about this, which I will show, is the answer to which of the four decrees is: ALL OF THE ABOVE!!! We do not necessarily have to argue which decree is the correct one. One thing is certain from the prophecy, the Seventy Weeks end with the destruction of the temple. We know this is the final end point of the 70 weeks and what has to happen after the arrival of the anointed one. It is clear to see in the text through the various translations, but yet the Jewish scholars seem to overlook the fact the messiah has to come before the destruction of the temple, not after. It is a common belief among many Protestant Dispensationalist Christians that there a gap between the 69th and 70th week. This has lead to new strange theories about the end times, much of it speculative and heretical. We will answer this question: Are there gaps between the 69th and 70th week? Not really. Is it the Decree of Cyrus in 539 B.C. ? Well 490 years lines up well before Jesus. Nothing happed in the first century BC that would fufill the six conditions at the end of the 490 year period. But we will see later that this decree is still important for a different calculation. Is it the Decree of Darius in 520 B.C. ? This was a command to start the actual construction of the temple, but it it still out of the timeline of Christ. Nothing significant happened during that time to fulfill the six conditions. But we will also see this decree plays a significant role in the history and city of Jerusalem. Is it the Decree of Artaxerxes in 457 B.C.? This decree was used to authorize the rebuilding of the city and restoring the local government in Jerusalem. This can certainly be the decree to consider for Daniel’s 70 Weeks. It fits very close to the timing and arrival of Jesus as Messiah. Is it the Decree of Artaxerxes from 444 B.C.? This also is another decree to consider for the rebuilding of the walls of the city of Jerusalem. Using solar calendar conversion between 360 day years and 365.25 solar years, we can arrive very close to the time of Christ… The problem is, it is an obscure decree to state that is the correct decree. But very close. It appears that options 3 and 4 are the closest decrees. But do we have to “fudge” the numbers as today’s Jews scholars, skeptics and atheists claim? Well, if we start at 457 BC and follow our calculations specified in the prophecy, we actually arrive at the start of the 70th week in the same year it is proposed that Jesus began his ministry, either in 27 AD or 29 AD. If we start from 444 BC, we come close and convert our 483 years to the solar calendar equivalent of 476 years, we arrive at a 33 year AD crucifixion. Notice however, I have proposed an alternate solution by converting solar to lunar years which would translate 483 years to 469 years. This 444 B.C. decree then aligns very closely with the 457 B.C. decree which is not translated with an approximate 27 BC start of Jesus’s ministry. We can certainly be confident that Jesus’s ministry began around 27 BC? How? Well the evidence in Luke 3:1 states that Jesus was baptized in the 15th year of the reign of Tiberius Caesar. We know that Tiberius co-reigned with Augustus beginning in 12 A.D. The 15th year from that point would be 27 AD. Jesus’s ministry lasted for 3.5 years until 30 AD. There were 2 weeks (weeks 67 and 68) which are measured from the start of Tiberius in 12 A.D. until Christ appears in 27 A.D. The fact that these 2 weeks are isolated by themselves were so that they would be combined with Luke 3:1 to confirm the timing and expectation of Christ’s ministry start time frame. Let’s examine the chart in more detail which should to visualize this calculation in the figure below. It becomes clear then, that the 457 B.C. decree provides an amazing degree of accuracy to the start of the ministry of Christ and his crucifixion in 30 AD. But 33/34 AD is also a candidate. So to be sure, we need to verify from historical records and scientific analysis to see when Jesus was crucified. The ministry of John the Baptist began after the 15th year or Tiberius Caesar from St. Luke 3:1-2: “In the fifteenth year of the reign of Tiberius Caesar . . . the word of God came to John the son of Zechariah in the wilderness”. This places us between 27 and 29 AD, depending on if we start from his co-reign with Augustus in 12 AD, or his first year 2 years later after the death of Augustus in 14 AD. Pontius Pilate was governor of Judea between AD 26 to AD 36. According to Daniel’s 70th week, he would be “cut off” approximately 3 and a half years or middle of the 70th week. Caiaphas served as high priest from 18 to 36 AD according to historical sources. The Gospel of Luke records that Jesus began his public ministry when he “was about 30 years old”. Most historical records place his birth in between 2 to 4 BC. This would point to between 26 to 28 AD. It is thought that Jesus was about 33 years old when he died on the cross so we add 3 years from the start of his ministry, which would place the time frame between 29 to 31 AD. This also agrees with the text of Daniel’s 70th week saying that the anointed one would be cut off in the middle of the last or 70th week. Jesus died around the 9th our, which would be 3:00 PM. The only two options that align with all of the above conditions and restraints are highlighted above, either Friday 4/7/30 or Friday 4/3/33. Scholars provide valid arguments supporting both dates, but the later 33 AD date would require Jesus to have a longer ministry than three years, based on Luke 3:1. However, it then becomes clear that if we start the timeclock of Daniel’s Seventy Weeks from the 457 B.C. decree and add 483 years (“69 Weeks”) we arrive at 27 AD. Adding three and a half years to this date woudl support a crucifixion date of April 7th, 30 AD. It also is in line with a 469 year period (7 and 60 “weeks”) to the start of Tiberius reign in 12 AD. We can confidently conclude from our analysis that the 457 B.C. Decree with no scaling of calendars is valid, and the 444 B.C. Decree is also valid if we convert from solar to lunar years. Thus, both decree dates of 457 BC and 444 BC validate the death of Jesus on the cross on April 7th 30 AD as a fulfillment of Daniel’s 70 Weeks. Are there allusions to the Crucifixion, the “Sign of the Cross” and the Holy Trinity In Daniel’s Seventy Weeks? Is it possible that the crucifixion of Jesus is explicitly called out? Is it possible that the numbers behind the calculations and the interpretations referenced behind them provide a “Trinity” concept behind the annointed messiah? These are interesting questions to ask, but the evidence certainly is there for us to consider. The Septuagint Text, which is the oldest version of Daniel known to text, seems to indicate a possible raising of the messiah on the cross in Daniel 9:27. The following analysis of a possible implicit statement of the crucifixion and it’s implications in this verse were highlighted by a gentleman named Tony P on bibleformus.org (for more info see: https://bibleforums.org/showthread.php/267831-Daniel-9-27-Ancient-Greek-Septuagint). 27 καὶ [and] δυναμώσει [to strengthen] διαθήκην [covenant] πολλοῖς [many], ἑβδομὰς [seven] μία [one]· καὶ [and] ἐν [in] τῷ [the] ἡμίσει [half] τῆς [the] ἑβδομάδος [seven] ἀρθήσεταί [to lift up] μου [My] θυσία [sacrifice] καὶ [and] σπονδή [libation], καὶ [and] ἐπὶ [upon] τὸ [the] ἱερὸν [temple] βδέλυγμα [abomination] τῶν [the] ἐρημώσεων [devastation], καὶ [and] ἕως [even as] συντελείας [completion] καιροῦ [time] συντέλεια [end] δοθήσεται [to give] ἐπὶ [upon] τὴν [the] ἐρήμωσιν [desolation]. Now, the huge difference is the word “to lift up,” which is usually translated as “take away.” I expect this will be controversial so I will expand upon this word. ἀρθήσεταί is a Verb, Future tense, Passive, Indicative, Singular from the root word αἴρω. Passive means the subject is receiving the action. Indicative means the action of the verb is actual. There are five definitions, so to speak. The definition used is critical in this verse. The ramifications are enormous. How can we know for sure which definition was intended by the translator? Jesus used this very same Greek word, in another construct, twice in the gospel of John. How did Jesus use this critical word? The underlined words are the English translations of the very same Greek word from the Greek Septuagint version of Daniel 9:27. Do you think Jesus knew this prophecy was about Him? Was Jesus My [God] sacrifice and libation who was lifted up? Everyone can draw their own conclusions. This analysis by “Tony P” of 9:27 is certainly eye-opening! The Septuagint text seems to tell us that in the middle of the final seven years, the sacrifice of the Lord would be lifted up. The Cross is a symbol representing Christ’s victory over sin and death. The sign of the Cross is made by Christians as a reminder of this event and is used for blessing and protection. If we look at the possible number combinations which are used or are derived from Daniel’s 70 Weeks, it seems to highlight the numbers “3” and “2” which is commonly associated with the sign of the cross used in the early church and by Orthodox Christians today. These numbers can be associated with making the sign of the cross in the name of the Holy Trinity. In the Eastern Orthodox Churches and Eastern Catholic Churches, the sign of the cross is made with the tips of the first three fingers (the thumb, index, and middle ones) are brought together. The last two (the “ring” and little fingers) are pressed against the palm. The first three fingers express one’s faith in the Trinity, while the remaining two fingers represent the two natures of Jesus, divine and human. So “3” fingers and “2” fingers are used in this gesture. This is shown in the picture below. If we examine the numbers of Daniel’s Seventy Weeks, we seem a similar pattern of these numbers “3” and “2”, possibly highlighting this concept of the sign of the cross, with God as “3” persons, with Jesus being the 2nd person in the Trinity, and he has 2 natures as the God-Man, i.e. both a human and divine nature. We will also review an alternative view of Daniel’s calculations based on a “Seven Times” period representing Daniel’s Seventy Weeks. These numbers seem to indicate a similar pattern and we will discuss here since it is a related discussion. A second return from captivity measured as “Seven Times” to rebuild once again to rebuild the temple a second time (“Seven Times divided by Seventy Generations of years” = 2520 Years). It is this time period which almost all commentators of Daniel 70 Weeks completely ignore. This will be a major focus of discussion in the next section. The return of the Jews from a long period of exile to rebuild the city of Jerusalem and the Temple (i.e. the Diaspora Interpretation). Items 2 and 3 will be discussed in the next section. In summary, there is certainly strong evidence in Daniel’s 70 Weeks that the crucifixion of Jesus on the cross is foretold, and is further evidenced by our calculations demonstrating the significance of the sign of the cross. The implicit idea of a “Trinity” is also demonstrated through the analysis of the numbers, the use of 3 calendars in the computations, the idea that three distinct “70 year” exile periods and deriving three different parallel interpretations from the text of Daniel 9:24-27. The time of the people’s return from Babylon in 537 B.C. The time of duration of their building the town and the temple from 457 B.C. The time of Christ’s coming in 27 A.D. The second destruction and second desolation of the town in 70 A.D. until the “time of the end” spoken of in Daniel chapter 12, which would be the period when the Jews would again, later on, return to Jerusalem. So this prophecy of the seventy weeks has a DOUBLE interpretation with the mathematical calculations, as it also happens with certain further facts in this prophecy. In this prophecy it was impossible to say nothing about the time of the Jewish people’s second return to Palestine, about which return St. Paul speaks (Romans 11:25-26) and Christ also (Luke 21-24), and many other prophecies of the Old Testament as well. Let’s examine this in the next section. The Seventy Weeks Prophecy can alternatively be used to calculate another SECOND return by the Jews in the 69th week. And their return would be during a “time of trouble” when the city and nation would be rebuilt. And most certainly more than any other time in history since the scattering of 70 AD, the Holy Land is in crisis. Interesting to note: The Jews did not return from Babylon after the seven and sixty two weeks, but as soon as the decree was issued in 537 B.C. Neither did the “times” come to an end when the town was rebuilt, because the building work finished in 408 B.C. But it the text says that after the seven and sixty two weeks the people of Israel returned. We know historically, the nation’s second return was achieved in 1948 A. D., when Israel’s state was founded in Palestine, on May 14, 1948. This second interpretation which was incomprehensible before Jerusalem’s second destruction in 70 A.D. Daniel 12:7 in only the Septuagint Translation sheds light on exactly when it would be possible to comprehend this portion of the prophecy. In 520 BC (i.e. 517 to 520 BC), the year of the second royal decree to finish construction fo the second temple. Based on the evidence of 1 to 4, we need to also consider the realization from the starting points of the third decree in 457 BC and fourth decree in 444 BC, possibly pointing to events unfulfilled. That is, given the fact the times can be verified with earlier dates leads us to believe there is a potential pattern of a “parallel of times” within the divine calculations. These last two decree dates would be considered “foward-looking” projections, that is, they do in fact derive dates in the future. This is a similar concept of “linear equations” where some of our system inputs for our algorithm point to unfulfilled events in the future. If the algorithm is correct, then the result should be fairly accurate. The proof is yet to be determined. How are all of these dates related? Well they are all related to demonstrating the validity and proof of the SIXTY NINTH WEEK calculation. That is, for each 69 week time period we can observe a significant event in Jewish history which is initially based around the deportation to, exile and return from Babylon. Daniel 9:25 tells us that this second return (like the arrival of the Christ the Messiah) will occur in the 69th week, i.e. the 7th and 62th week added together. This is confirmed with the following calculations shown in the chart below. With the Jewish Diaspora interpretation to Daniel’s 70 Weeks, we have SEVENTY GENERATIONS of Jews who would be scattered in exile and return in the Sixty-Ninth Week. In fact, it can be mathematically demonstrated that the “Sixty Nine” Weeks of Daniel is equivalent to “Seventy Weeks”, or the “Seven Times” punishment foretold in Daniel 4, Leviticus 25 and Ezekiel chapter 4. For an overview of the “Seven Times” punishment and restoration of the Jews, see my previously posted article on the subject. The End of Daniel’s 69th Week can also be considered the End of Daniel’s 70th Week. As such, the “gap theory” of a 2000 break proposed by the Dispensationalists is now invalidated. There is no gap and future fulfillment of the 70 weeks as a literal 7 year period. Since the Seven Times are equal in years, to the 70 weeks, each week contains 36 years; that is, 2520 / 70 = 36. 2520 / 70 generations = 36 years per generation. Each ‘36-year’ week is approximately equivalent to 1 generation. Notice that had Jesus fulfilled his ministry until the end of Daniel’s 70 Weeks he would have been 36 years old. And 36 years after 34 AD, exactly one generation later, we come to the destruction of the temple in 70 AD! The starting point of the 2520 years for Daniel’s 70 Weeks is the said year 537 B.C. The 69 weeks or 69th generation, of 36 years each, are 69 x 36 = 2484 years. 537 BC + 2484 years (+ 1 for no 0 AD) = 1948 AD ! The 70 Biblical/Prophetic weeks in this case is equivalent to 69 Solar Weeks, Seventy Generations of Seven Times for the second captivity and scattered among the nations. The establishment of the modern state of Israel occured in 1948 AD, exactly 69 weeks or 2484 years after the Jews initially returned from Babylon in 537 BC, and exactly 69 weeks after the start of the Assyrian Captivity in the Northern Kingdom in 740 BC (based on a 390 day/year times calculation taken from Ezekiel chapter 4). Next we have the prophecies of St. John’s Book of Revelation stating that the City of Jerusalem would be trample for a period of “42 months”, or 1260 years. From this starting point we can also predict when the Gentile Rule would come to an end in Jerusalem. This is measured when Omar II invaded Jerusalem in 636 AD, and when the Dome of the Rock construction began in 688 AD (i.e. the “Abomination of Desolation” described in Daniel and Matthew 24). “Forty-two months” here represents 1260 years, applying the traditional Day-Year Principle of prophetic interpretation used by historicists from the 12th century. The calculation of the number of days is determined as 42 month x 30 days/month = 1260 “days”. This is also the same duration spoken about in Daniel 12:7, i.e, “Time, Times and a Half of Time” also represents 1260 “days”/years. The variation of 1260 day measurement can be determined with consideration of using three calendars for use in our computation, the traditional “biblical” calendar, the “solar” calendar of 365.25 days/year, and the “lunar” calendar of 354 days/year. It is obvious that the year 636-638 AD invasion of Jerusalem is a significant event in identifying the prophesied “Antichrist” and “Man of Perdition,” and it thus can be used to calculate the exact reign and duration based on subtle mathematical equations and riddles provided in scripture such as “forty-two months” and “1260 days”. If 637 is of important significance in identifying the Antichrist, then certainly other significant dates around the life of the same beast should also be considered? The answer is yes, it can be demonstrated that a pattern emerges of a so-called “parallel of times” which are based on the rise and fall of the empires of the Islamic Beast. We also can observe that dates involved around construction of the abomination also confirms the middle of Daniel’ 70 week. These dates confirm the authenticity of the prophecies of Daniel and Revelation as we confirm that the time between the destruction and rebuilding of the temples arrive at the exact years for the end of Gentile/Islamic rule in Jerusalem. Daniel’s Seventy Weeks Prophecy is the most amazing prophecy in the bible offering proof that Jesus is the Messiah. It is a very disputed and hated prophecy by the enemies of Christ. It is also very misunderstood due to the many questionable English translations which led to heresies such as the false 2000-year “gap” theory doctrine which was developed promoted by the John Darby and the Dispensationalist and Rapture advocates. In reality, it can be proven that the Sixty-Nine weeks are a scaled equivalent to the Seventy weeks through the use of common solar and lunar calendar conversions. There is no reason to consider a 2000 year gap between weeks 69 and 70 if we realize that the 70 weeks of the prophecy can also end upon termination of 69 weeks, covering the same time periods in history through the use of calendar conversions. Daniel’s Seventy Weeks Prophecy predicted the arrival of Jesus Christ over 570 years before his crucifixion and accurately dated this event to point to completion in 30 AD. It agrees with the historical data and scientific evidence that Jesus was crucified on Friday April 7th, 30 AD. We examined strong evidence with the Septuagint that Daniel predicted the anointed one would be raised up on the cross. This hidden evidence of the raising by the cross is supported by the repeated “2”/”3” number multiples pointing to the five-fingered sign of the cross made by early Christians and the Orthodox today. The Holy Trinity (Father/Son/Holy Spirit) theme is implied in the Seventy Weeks with the tri-composite interpretive nature of the prophecy, the use of three calendar computations for confirming the prophecy, and the three different 70 “year” time periods of exile and restoration revealed by the Archangel Gabriel as: 70 years, 490 years, and 2520 years. Based on the division calculation, Daniel’s Seventy Weeks also provides additional details on the Seven Times punishment described in Leviticus 26. The 69 Weeks of Daniel are synonymous with the same exact seven times period of punishment and restoration for both the northern and southern kingdoms of Israel. These older prophecies cover the same period of either 2484 lunar years, 2520 biblical years, or 2556 solar years. We have confirmed based on our analysis and calculations that God’s prophetic timetable of restoration was fulfilled to the exact year in history. To further support the Leviticus Chapter 26’s Seven-Times scattering of the Jews for a period of 2520 years, the Seventy Weeks prophecy can also be used to confirm the exact year of the trampling of Jerusalem in 637 AD by the prince to come, Omar II – the first Caliph of Mohammed. It also predicted the exact year for the construction of the Abomination of Desolation that is the Dome of the Rock in 688 A.D. Thus, we are assured that the Dome of the Rock is the prophesied “abomination of desolation” structure spoken of by Daniel and also by Jesus in Matthew 24 which was to be raised up on the temple mount in the middle of the Seven Time (“week”) as a benchmark and confirmation of the covenant for a later future Jewish Restoration back to the Holy Land. That is, the middle of the Seven Times 2520 year period marks the construction of the Abomination of Desolation temple and confirms the half way point between the deportation to Babylon and the return back to Israel and Jerusalem in 1948 AD and 1967 AD. Behold the mystery. The return by the Jews in 1948 AD and 1967 AD confirms the identity of the Antichrist in the middle of the week. Therefore, the Antichrist’s placement of the current temple mount structure in the middle of the week must therefore validate and confirm the historic return of the Jews to Palestine as fulfillment of prophecy. The “times of the Gentiles” spoken of by Jesus and St. Paul through the 1260 year reign over Jerusalem officially came to an end when Jerusalem was captured in 1967. Unfortunately for many Christians today, this is a tough pill to swallow, given the persecution of the Palestinians. But if Daniel’s prophecies are genuine, then we have to accept the new reality that God has a plan for these Jews, and it is to draw them near to Christ, our immortal King and God. Through this analysis, the authenticity of Daniel’s prophecies is truly confirmed, regardless of if was a authored in the 6th century BC or as a so-called 2nd century BC forgery. Since the accuracy of the numbers point to Jesus Christ, the real abomination of desolation temple, and the return of the Jews to Israel, we are rest assured of the validity and authenticity of Daniel’s Seventy Weeks as the most inspiring prophecy in the Old Testament, thousands of years in the making. And based upon that fact, we can be certain that the final completion of the Sixty-Nine weeks for all remaining possible permutations is “at hand”… in the next few decades!